Not to be confused with Pennsylvania State University. In 2007, Penn acquired about 35 acres (14 ha) between the campus and the Schuylkill River (the former site of the Philadelphia Civic Center and a nearby 24-acre (9.7 ha) site owned by the United States Postal Service). Dubbed the Postal Lands, the site extends from Market Street on the north to Penn's Bower Field on the south, including the former main regional U.S. Postal Building at 30th and Market Streets, now the regional office for the U.S. Internal Revenue Service. Over the next decade, the site became the home to educational, research, biomedical, and mixed-use facilities. The first phase, comprising a park and athletic facilities, opened in the fall of 2011. Penn also plans new connections between the campus and the city, including a pedestrian bridge. [needs update?] In 2010, in its first significant expansion across the Schuylkill River, Penn purchased 23 acres at the northwest corner of 34th Street and Grays Ferry Avenue from DuPont for storage and office space. The current club has its roots in the 1960s and from the influence of star winger Andrew Margolis. The University of Pennsylvania rugby teams play in the Ivy Rugby Conference and have finished as runners-up in both 15s and 7s. As of 2011[update], the club now utilize the state-of-the-art facilities at Penn Park. Quakers Rugby played on national TV at the 2013 Collegiate Rugby Championship, a college rugby tournament played every June at PPL Park in Philadelphia and broadcast live on NBC. In their inaugural year of participation, the Penn men's rugby team won the Shield Competition, beating local rivals Temple University 17–12 in the final. In doing so, they became the first Philadelphia team to beat a non-Philadelphia team in CRC history, with a 14–12 win over the University of Texas in the Shield semi-final. ^ Mally, Adam. "[email protected] | DMD Program". cg.cis.upenn.edu. Retrieved October 27, 2018. 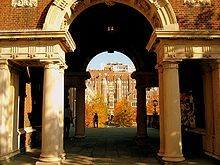 Wikimedia Commons has media related to University of Pennsylvania. Jefferson , commonly known as Thomas Jefferson University, is a private university in Philadelphia, Pennsylvania. It was formed in 2017 through the merger of Philadelphia University and Thomas Jefferson University. 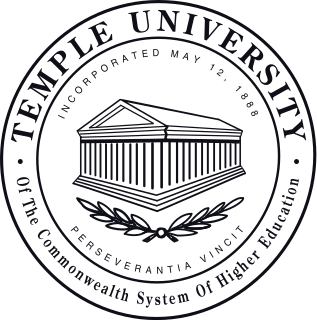 Temple University is a state-related research university located in Philadelphia, Pennsylvania. It was founded in 1884 by the Baptist minister Russell Conwell. In 1882, Conwell came to Pennsylvania to lead the Grace Baptist Church while he began tutoring working-class citizens late at night to accommodate their work schedules. These students, later dubbed "night owls", were taught in the basement of Conwell's Baptist Temple, hence the origin of the university's name and mascot. 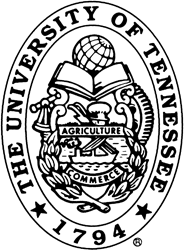 By 1907, the institution revised its institutional status and was incorporated as a university. 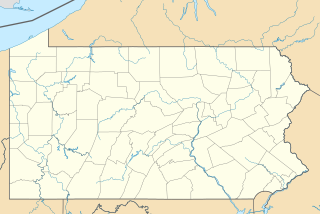 Moravian College is a private liberal-arts college in Bethlehem, Pennsylvania. The college is associated with Moravian Theological Seminary and traces its founding to 1742 by Moravians, descendants of followers of the Bohemian Reformation though it did not receive a charter to grant baccalaureate degrees until 1863. The most popular majors are health sciences, business, sociology, psychology, and biological sciences. The Perelman School of Medicine, commonly known as Penn Med, is the medical school of the University of Pennsylvania. It is located in the University City section of Philadelphia. Founded in 1765, the Perelman School of Medicine is the oldest medical school in the United States and is one of the seven Ivy League medical schools. Penn Med consistently ranks among the highest recipients of NIH research awards, and it is currently tied for 3rd place on U.S. News & World Report's "Best Medical Schools: Research" list. Penn State Health Milton S. Hershey Medical Center and Penn State Children's Hospital are Penn State's medical school and academic medical center located in Hershey, Pennsylvania. The University of Pennsylvania School of Dental Medicine is the dental school of the University of Pennsylvania (Penn), an Ivy League university located in Philadelphia, Pennsylvania, United States. It is one of twelve graduate schools at Penn and one of several dental schools in Pennsylvania. It is part of the University of Pennsylvania Health System. The University of Pennsylvania School of Arts and Sciences is the home of the humanities, social sciences, and natural sciences at the University of Pennsylvania. The University of Pennsylvania College of Arts & Sciences is the oldest undergraduate college at the University of Pennsylvania, a private Ivy League university, situated on the university's main campus in University City, Philadelphia. The college traces its roots to the establishment of a secondary school known as Unnamed Charity School in 1740. In 1749, Benjamin Franklin and twenty-one leading citizens of Philadelphia officially founded a secondary school named Academy of Philadelphia. 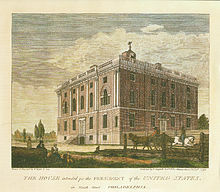 In 1755, the secondary school was expanded to include a collegiate division known as College of Philadelphia. 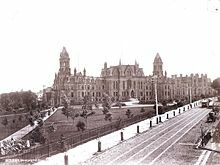 The secondary and collegiate institutions were known collectively as The Academy and College of Philadelphia. 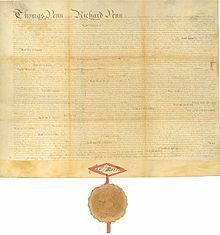 The college received its charter from Thomas Penn and Richard Penn. Penn CAS is the oldest institution of higher learning in the state of Pennsylvania and the sixth-oldest chartered college in the United States.